Looking for a Venue? 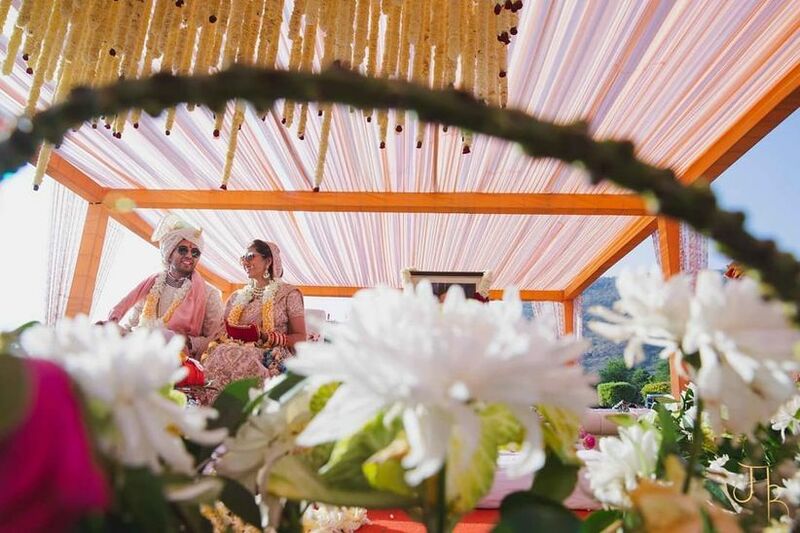 Check out Sheesh Mahal Palace Grounds, Bangalore for a Dreamy Wedding! Looking for a Venue? 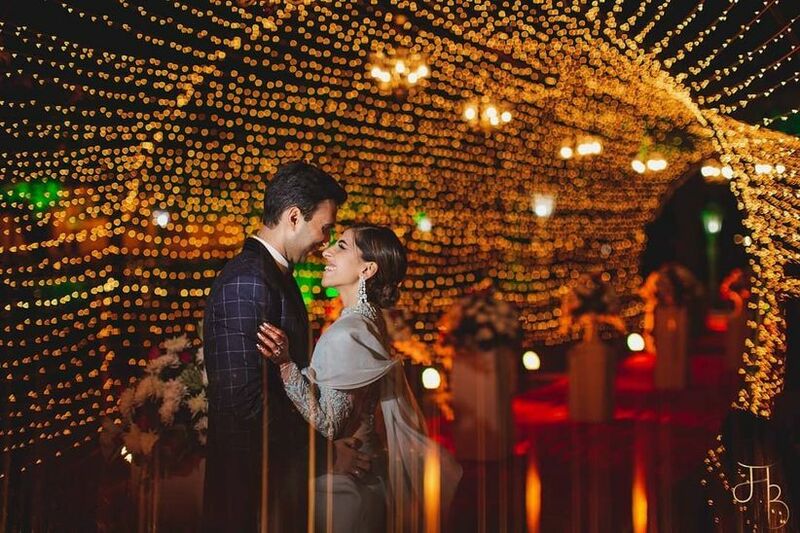 Check out Sheesh Mahal Palace Grounds, Bangalore for a Dreamy Wedding! | Wedding Tips ARE YOU A VENDOR? Looking for a venue that you will cherish as much as the memories made in it? Find out about Palace grounds, Bangalore! Your wedding venue will always hold a special place in your heart. You’re likely to not only hold fond memories of your wedding functions but also of the place itself. After all, this is where your story with your husband was cemented. The Sheesh Mahal Palace Grounds, Bangalore, is a venue that lives up to the glory of its name. 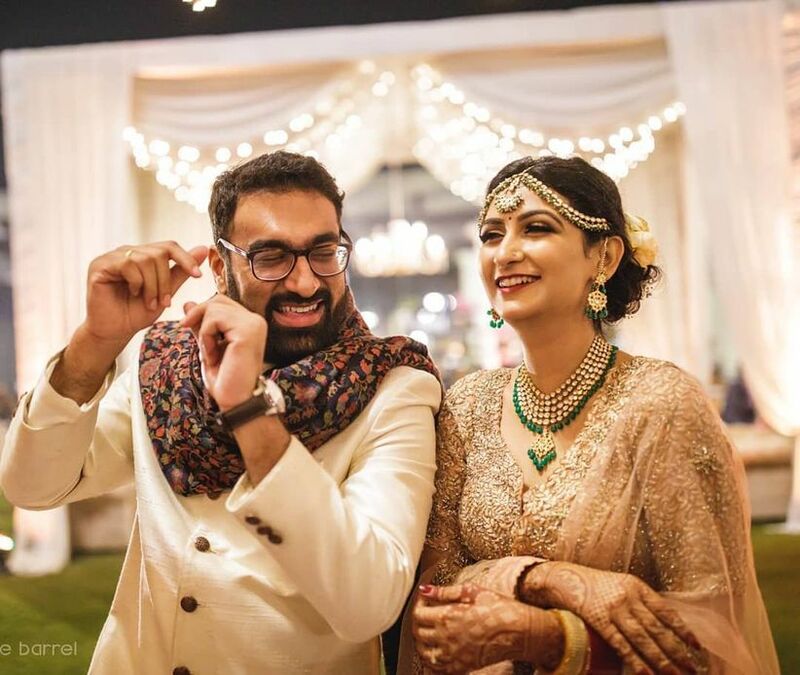 With large sprawling lawns and a spacious banquet hall that can accommodate all your guests, this venue may just be absolutely perfect for you. 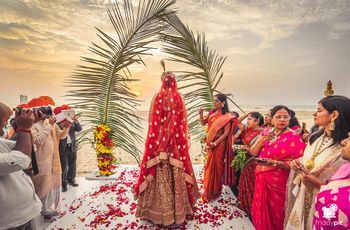 In this article, we will tell you everything you need to know about hosting your wedding at the Sheesh Mahal Palace Grounds, Bangalore. 1. How many guests can you invite if you get married here? Your wedding guest list will always feel like a never-ending task. There will always be a name to add or cross-off, and then reconsider! While you’re picking out your wedding venue, make sure that you have an idea about how many guests will attend your wedding. This can help you narrow down your options efficiently. 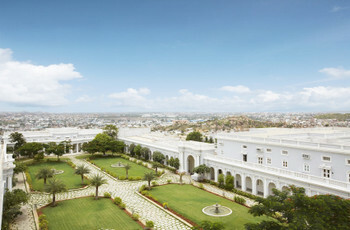 The Sheesh Mahal Palace Grounds, Bangalore, has a total capacity of 550 guests, making it ideal for small and medium-sized weddings. 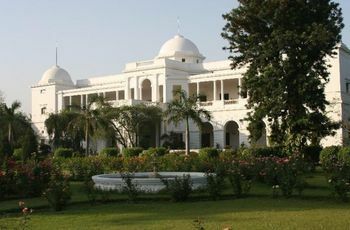 The venue has two main locations within it: the lawns and the banquet hall. You can choose either of them based on whether you want an outdoor or indoor wedding. 2. What facilities does this venue offer? While looking for your venue, make sure you pick one that offers facilities that lessen your pre-wedding chores. This venue offers an in-house decorator who can help you cross off a huge task from your to-do list: figuring out your décor. This professional will most likely know everything there is about the kinds of tents, lighting, and furniture you should be using. The venue also offers in-house catering, so you do not have to hunt down a caterer. Their starting price for a vegetarian plate is ₹700 INR per plate. They also charge ₹1,300 INR per non-veg plate. Their experienced chefs can cook up north and south Indian cuisines, Mughlai, Thai, Chinese, Italian, street-food delicacies and even Lebanese food. They also offer fusion menus to please the gastronomist in you. Also, you must note that their basic menu packages start from ₹50,000 INR, and move upwards based on your requirements. 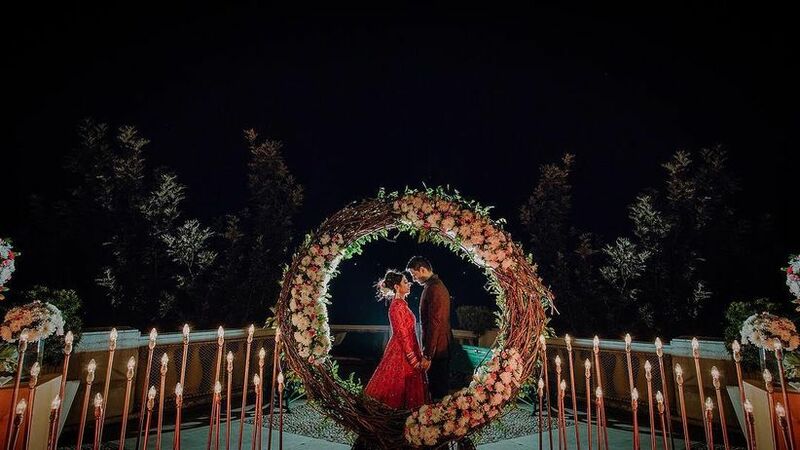 Finally, they also offer basic lighting, furniture, a room for the bride to get ready, valet services, back-up electricity, well-trained service staff and even a sound or music license if you’re planning to dance up a storm! 3. Will be hard for guests to find this venue? The Palace Grounds are located right in the heart of Electronic City, Bangalore. This makes them fairly easy to find. In fact, this venue is so popular that most people do know the way, having attended weddings sometime or the other. A great way to make sure that guests find this venue easily is by sending everyone electronic maps. You can always print out maps for family members who are a bit more old-school! 4. What does it cost to book this venue? Interestingly, this venue does not disclose its booking charges. This probably means that they offer different packages to different couples, based on their needs. If you know someone who has gotten married here, you can speak to them about the charges. Or, you can just call up the venue’s administrations office and find out what they charge. 5. Choosing between the lawn and banquet hall! What will the weather be like during your wedding? If you’re expecting a ton of humidity, then that rules out outdoor events. No one wants to sweat through their glamorous wedding attire! But, if you’re expecting classic, cool Bangalore weather, then an outdoor function won’t be a bad idea. How many functions are you planning on having? 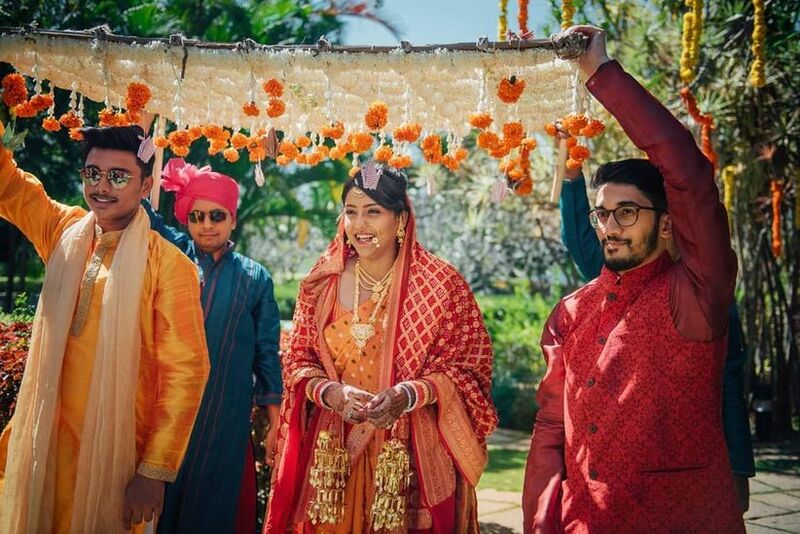 These days, brides and grooms customise their wedding functions as per their own beliefs. If you are planning on having a few lighter, day events, then hosting them in a lush green lawn might be great. Also, getting married under the stars sounds like a great idea too! Picking the right venue does require a ton of research, which is why you should take your time and not rush into any specific decision. Make sure you weigh the pros and cons of everything before finally making a deposit! When you’ve got the perfect venue, you’ve got to capture it! 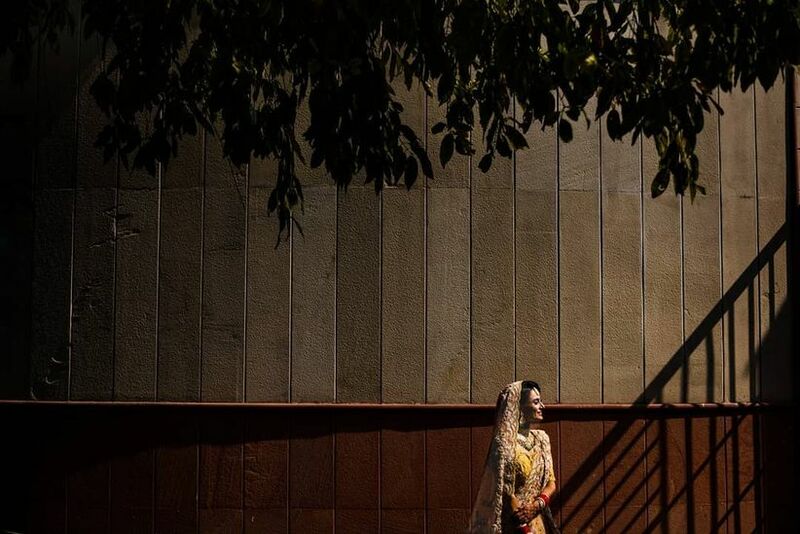 Get in touch with our expert photographers for dreamy wedding pictures!